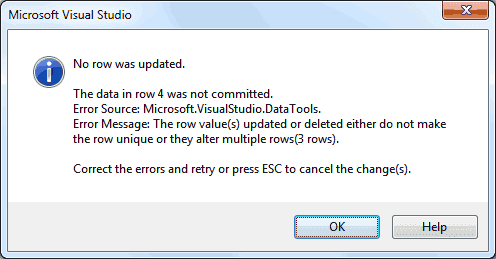 - A SQL Server Database contains some tables but one of table's rows cannot be updated!! - How i can update some NULL rows in my table ? - The table contains one or more columns of the text or ntext data type. - The table does not contain a primary key. There's not any solution. You need to have a new table with a primary key or correct values and copy data into new table and drop old table, Sorry. Great man, it's working fine!